I did a layout of my sweet dog, Lizzie. I used the Martha Stewart Butterfly Punch on it. Are you kidding? I would soooo use these delightful papers on cards and scrappin' projects! Too fun! Here's mine: http://www.studiocalico.com/forums/galleries/show/23459 I used the bracket punch. I loved this challenge! 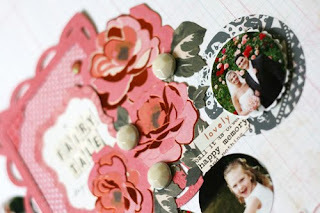 I used 6 punches in my layout: MS butterfly, EK circle scallop and 4 different Fiskars border punches. 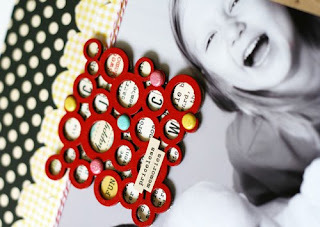 Here is my layout, I used several of the new punches including bracket, binding edge, donut chain and photo labels. Hope I win!